X and Y axes precision 0.002"
Machine is fully assembled and tested, not DIY. Gast vacuum pump (standard machines are equipped with a venture pump to generate vacuum from compressed air. The venture pump consumes significant compressed air). No compressor is needed if vacuum pump is ordered. Compressor is still needed if PX feeders or left side feeder support are purchased. 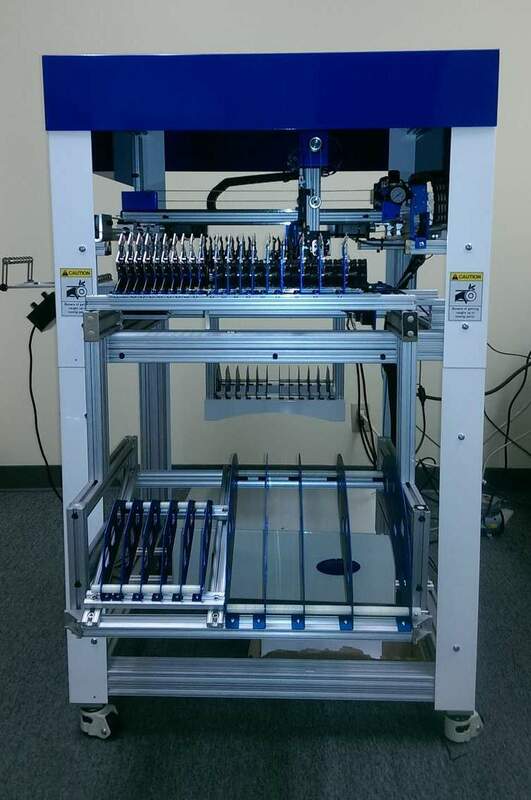 The pick and place operations are the same as our other automatic pick and place machines . Picking up, aligning and placing are all automatic. Computer vision centering system is included.